I have so many unblogged makes at the moment its a bit sad – especially a particularly nice Victoria Blazer which I hope to get photos of sometime soon. 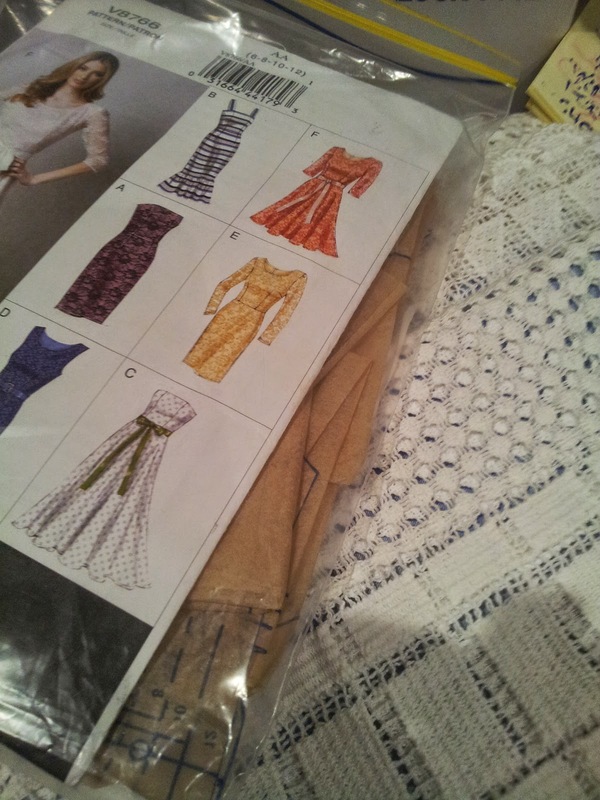 I am using Vogue 8766 and will be making View E (the sleeved pencil skirt version) with shorter sleeves as that is all my fabric will allow. The lace is a lovely cotton lace from Tessuti, which I won some time ago (almost two years ago, gulp) from a giveaway by the wonderful and talented seamstress Melanie from Poppykettle. 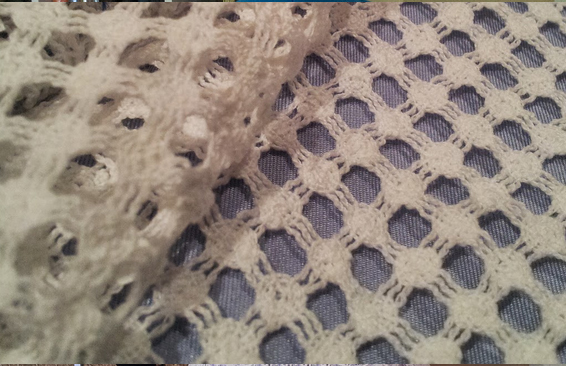 You can see the beautiful dress she made using this lace here and I have been waiting for the right project and occasion to come along as I really wanted to do this fabric justice. 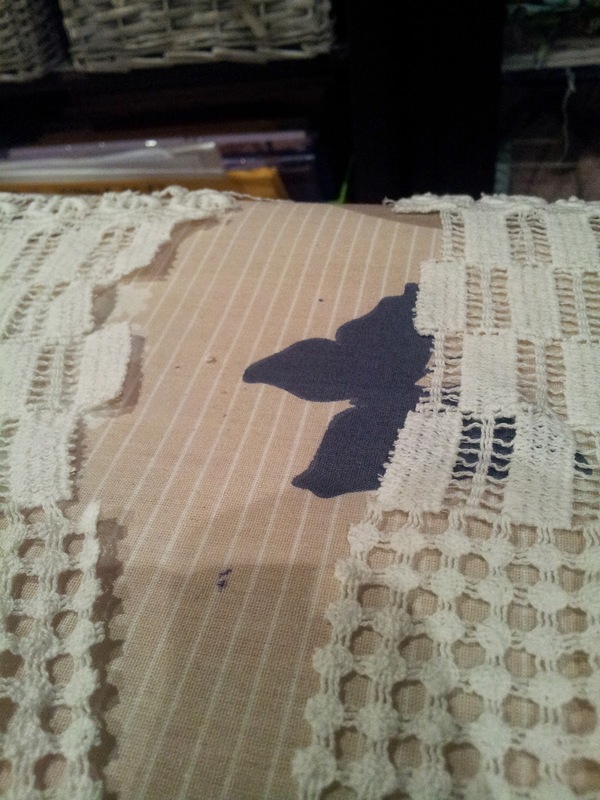 My underlining is a lovely blue grey silk from the Fabric Store Surry Hills, a remnant from my Jackie coat lining. I have already muslined this pattern and I needed to make rather alot of changes to the bodice to get it to fit as well as significantly grading out the skirt portion as I have put on rather a few kilos from when I initially purchased this pattern as part of the Perfect Fit Craftsy Course. 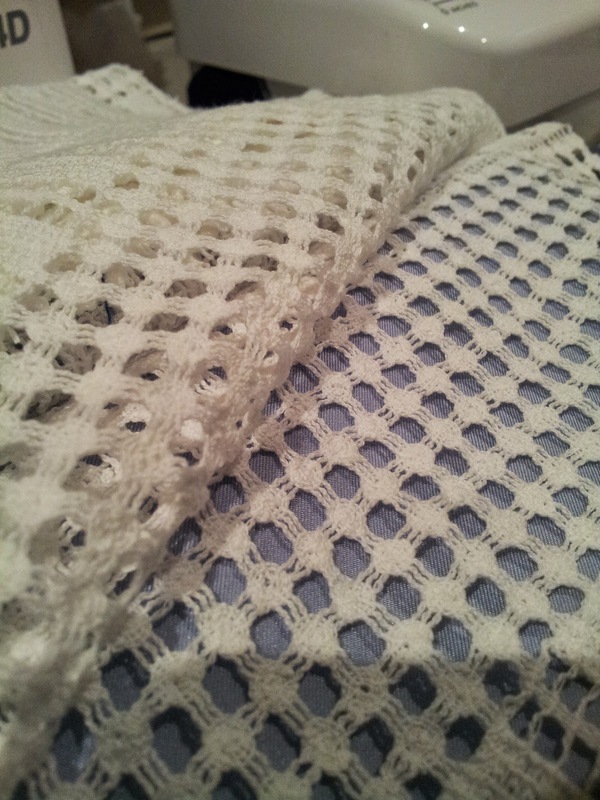 I am just about the start the underlining process and have decided to follow Mel’s lead and hand baste the lace to the underlining in rows to stabilise the lace so it doesn’t stretch out. Perfect fit and design customised for the individual shape and proportions of wearer. Craftmanship – seams are finished by hand, minimal machine stitching, maximum hand sewing, fabric is high quality, underlining or lining is used as appropriate. 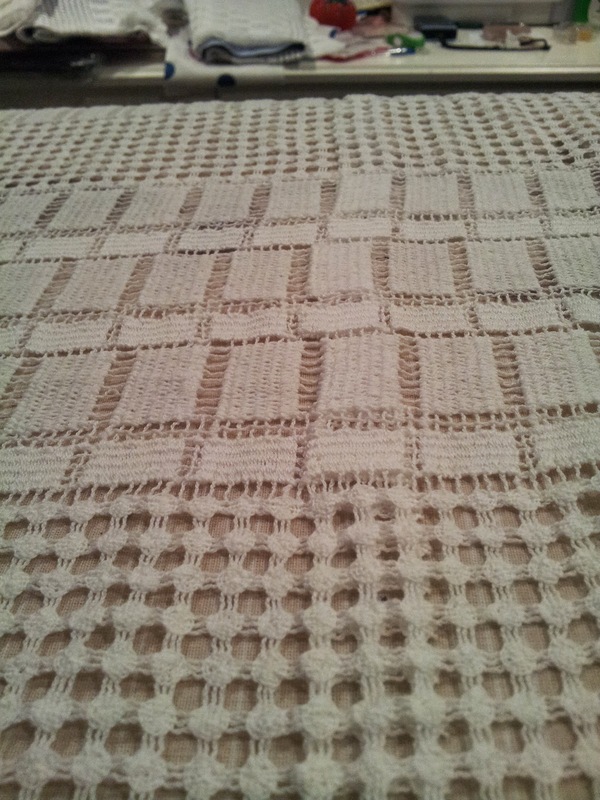 Techniques such as thread tracing, hand basting, multiple hand stitches are used. By those criteria this dress will not be anything close to couture – and nothing I make will ever be, but I do really love love to use what could be called couture techniques and methods in my sewing. I think it would be many years before I could meet all four of those criteria to the standard that is needed, but it certainly gives me sometime to aim for, and I guess there is no harm in aiming high. Now, back to this dress…. I did not have enough fabric to pattern match at the sleeves and the front and back bodice are completely different, although they will match at the centre back seams. 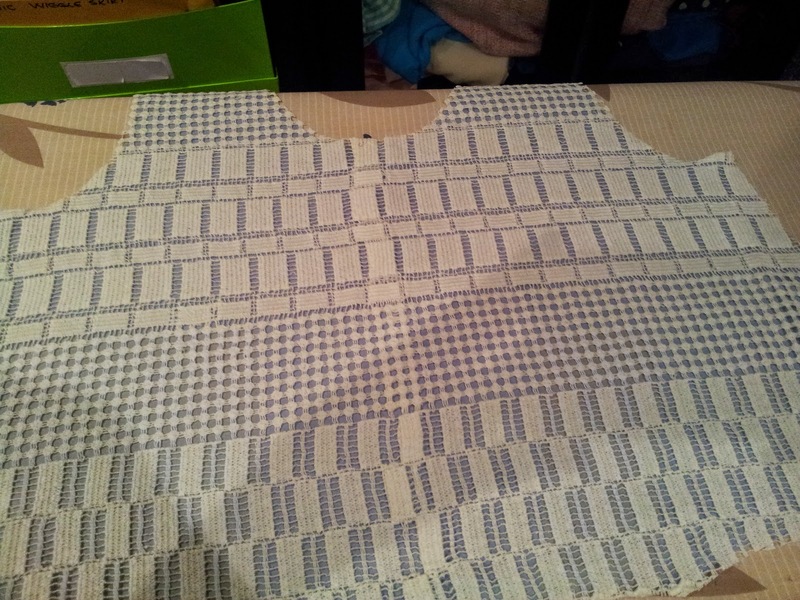 And the front bodice underlined. As you can see (click to enlarge) in this photo the join is slghtly visible but I am hoping once the dress is done it won’t be too bad. 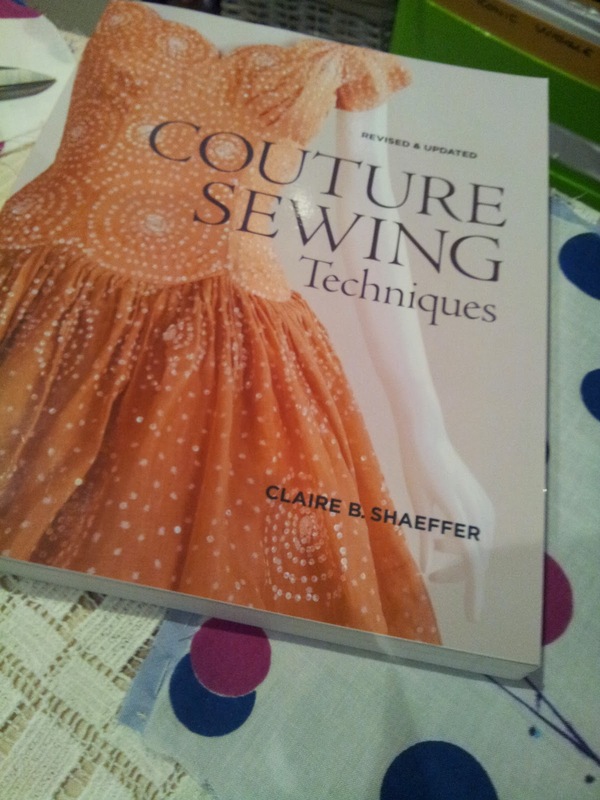 My reference for this project is one of my favourite books from my personal library Couture Sewing Techniques* (FYI affiliate link). So, I’d love to hear, what makes something done by a home sewer “couture”? This won’t make the grade at all but one day I hope to make something that does.